“Why are you investing $1 Billion dollars in India”, Nayantara Rai, the charming ace investigative journalist from ET, asked Prem Watsa. 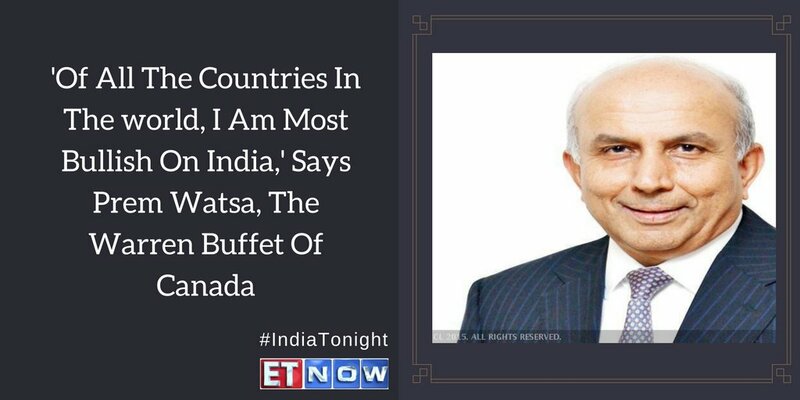 Prem Watsa, the soft-spoken and humble Billionaire, did not hesitate even a bit. “Of all the countries in the world, I am most bullish on India. The country has holds huge potential and unlimited possibilities. We are very happy to invest in India” Watsa said, with a big smile on his face. 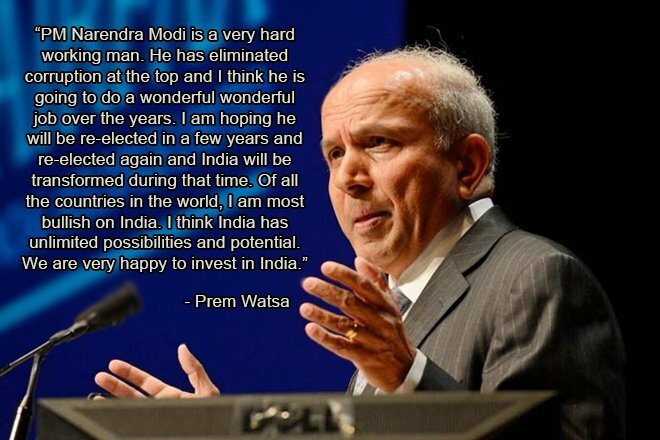 Prem Watsa’s words of wisdom should never be taken lightly. He is a visionary with an uncanny ability to unearth multibagger stocks. Legend has it that Prem Watsa started life in Hyderabad as a penniless pauper and that he single-handed built a massive empire in the form of Fairfax Holdings. 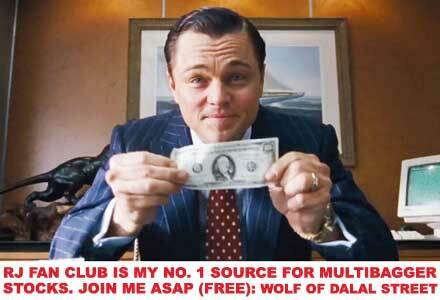 Today, Fairfax’s AUM is an eye-popping $37 Billion while Watsa’s personal fortune is in excess of $1 Billion (Rs. 6,500 crore). He is a proud member of the Forbes Billionaire’s Club and rubs shoulders with other investing legends like Warren Buffett, Rakesh Jhunjhunwala etc. Prem Watsa has also created enormous wealth for the shareholders of Fairfax. In the period of 30 years from 1985 to 2015, Fairfax’s stock price has grown at a CAGR of 19.4% while the book value has grown at 20.4% CAGR. This means that a petty sum of Rs. 1 lakh invested in Fairfax in 1985 is worth a fortune of Rs. 2.37 crore today. Nayantara Rai rightly described Prem Watsa as “the Warren Buffett of Canada“. It is notable that in the period from 1965 to date, Warren Buffett compounded his wealth at 19.5% CAGR while Carl Icahn compounded his wealth at 31% CAGR. NAMO, who is under attack from intellectuals and opposition parties for alleged “Khoon ki Dalali” and other alleged misdemeanors, got a reprieve because Prem Watsa has come out with all guns blazing in his favour. “Modi is a very hard working man. He has eliminated corruption at the top and I think he is going to do a wonderful, wonderful job over the years. 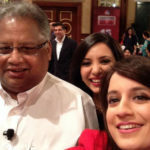 I am hoping he will be re-elected in a few years and re-elected again and India will be transformed during that time,” Watsa said. Watsa also heaped rich praise on NAMO by comparing him with ‘Lee Quan Yew, the legendary Prime Minister of Singapore who converted the small Country into a financial powerhouse and a global force to reckon with. Bruce Flatt, the CEO of Brookfield Asset Management, a multi-billion dollar FII, also exuded unbridled confidence in India as a top-notch investment destination. “More people will start to invest there. The government in India has been doing an excellent job of attracting and welcoming foreign investment,” Flatt said. He added that “the opportunities to invest in India are excellent, so investment will continue to come”. 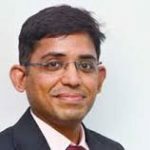 “We are long term investors and we have been in India for almost 10 years now. We are thrilled about the country and we will continue to invest over the next 3-5 years in various sectors. I am just saying 3-5 years, but we will be in India forever,” he added with supreme confidence in his voice. Jamie Dimon, the CEO of JPMorgan Chase and one of the world’s most influential bankers, was all praises for NAMO’s initiatives. “India is the fastest growing economy in the world. There are some fabulous companies here, great education, and a Prime Minister who is making all the right moves. This is a great country,” Dimon exclaimed. 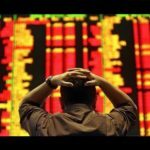 Aberdeen Asset Management, also a multi-billion dollar FII, has issued a report titled “India: The Giant Awakens” in which it has praised NAMO for finding solutions to multiple challenges, sowing seeds for structural changes and introducing reforms that may not be “big-bang”, but are definitely long-term in nature. “Contrary to some reports, Modi remains popular and reforms have not run out of steam. If one looks closely, changes are taking place everywhere. Indeed, reforms were always intended to be long-term in nature, rather than big bang,” Abeerdan said in the report. The report emphasizes that NAMO has been working to position India as a leading destination for global investment, and the recent slew of reforms such as GST and Bankruptcy Law, apart from an improvement in the Ease of Doing Business rankings are some steps in the right direction. Vala Afshar, a whiz-kid, has pointed out that India has the unique distinction of creating 7 “unicorns” i.e. start-ups with a market capitalisation in excess of $1 Billion. These companies are Zomato, Quickr, Shopclues, One97 Comm, Snapdeal, Ola Cabs and Flipkart. Interestingly, this number is more than South Korea, the Netherlands and Canada combined, Vala Afshar says. 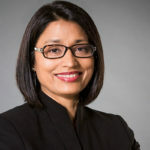 Anu Madgavkar, the razor-sharp analyst with McKinsey, the prestigious consulting firm, explained that India’s growth is at an inflection point and that it will pan out over the next 10 to 15 years. She explained that one of the core structural drivers of that growth, which was urbanization, is coming to a tipping point—back to the notion of an inflection point. One can gauge the extent of bullishness about India amongst foreign investors from the fact that Christopher Wood of CLSA has claimed that “you only have to spend five seconds in India physically to understand that it’s many years away before you have to worry about over-investment”. “The issue in India is not over-investment. The issue is, is there any investment” Wood exclaimed. Similar sentiments have been expressed by other leading global investors interviewed by Business Insider. Nayantara Rai knows that novice investors like you and me are not content with theoretical dissertations about the economy but that we neeed actionable information about specific sectors and stocks that the wizards are bullish about. “What stocks are you bullish about” she asked Prem Watsa point-blank, flashing a charming smile. “We have a major stake in Adi Finechem and Sanmar Chemicals”, Prem Watsa replied. I have already conducted a meticulous assessment of Adi Finechem. I lamented at that stage that our failure to clone Prem Watsa has cost us dearly. On a YoY basis, Adi Fine Chem is up 139%, much of which would have fallen into our pockets if we had blindly walked in Prem Watsa’s illustrious footsteps. Fortunately, it is still not too late because Prem Watsa, with his specialist knowledge of Chemicals (he is a Chemical engineer from IIT Madras), will transform Adi Finechem into a multibagger powerhouse. Not much is known about Sanmar Chemicals because it is a closely held company. A bit of research reveals that Sanmar is one of the largest suspension polyvinyl chloride (PVC) manufacturers in India with an installed capacity of almost 300,000 tonnes per annum (TPA), apart from being the largest specialty PVC company in the country. Sanmar is in the process of expanding its PVC capacity in Egypt from 200,000 TPA to 400,000 TPA. Once the expansion is completed, Sanmar will have a total PVC capacity of over 700,000 TPA, making it among the largest PVC companies in the world. In addition, Sanmar also manufactures caustic soda, chloromethanes, refrigerant gases, industrial salt and speciality chemical intermediates. Fairfax India Holdings Corporation has invested $300 million into Sanmar Chemicals and will acquire a 30 percent equity ownership in Sanmar. Prem Watsa has joined the long list of eminent luminaries who are bullish about stocks manufacturing specialty chemicals. In earlier pieces (Forget Pharma Stocks. 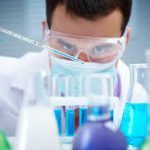 Specialty Chem Stocks Are The New Mega-Baggers: Experts and Dolly Khanna’s Portfolio Sparkles As Specialty Chem Stocks Surge Like Rockets) I have drawn attention to reports from leading experts on how specialty chemical manufacturers will be big beneficiaries of the consumer boom and the rampant use of chemicals in all products. The sector is expected to grow at 14% CAGR and will be worth USD 80 Billion according to experts. 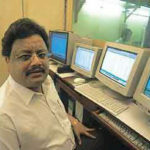 I have also pointed out that almost all eminent stock pickers such as Dolly Khanna, Vijay Kedia, Ashish Kacholia, Shankar Sharma, Ravi Dharamshi, Rahul Saroagi etc are bullish about specialty chemicial stocks. Prem Watsa made it bluntly clear that he has neither the time nor the inclination to mess around with novice entrepreneurs and fumbling start-ups. “We are looking at companies with a track record and not start-ups” Watsa said in reply to a question from Nayantara. “We like working with hardworking, honest people with a track record who want to build companies in India“, the Billionaire added. In the light of the unanimous opinion of the knowledgeable investors that Indian stocks are the best investment opportunity in the World at present, there is no need for us to feel diffident about it. Instead, we also have to invest aggressively in stocks so as to derive full advantage of the Country’s prosperity! Prem Vatsa also invested in IIFL may be you missed it. It is MANO (Manmohan) or NAMO or even national front FII are investing heavily since 1991.They will continue even if we have accidental govt of any regional player. Western economies are in retirement mode and almost static GDP and almost zero interest rates,. They don’t have any choice but to invest in India. Already more than 20% of market cap is already with foreigeners..We need to cap their share holding to 20% otherwise, there may be many east Indies compnies. Indians should invest more in equity which is hardly 3%, at earliest as otherwise it will be too late. Govt should discourage GOO and strengthen Indian equity market for domestic investers. Any opportunity of GOO selling must be utilized for investing by retail and DII. We are in golden era of Indian Equity, so just stay invested in quality companies to reap rich harvest of wealth. I agree with you Kharb, it’s high time the Indian mentality of investing only in gold and real estate should find its end. We Indians think more about saving than investing, a very complacent nature of being happy with the FD returns. A general financial awareness is very essential. Is Sanmar Chemicals listed in NSE / BSE ? No words for such articles….For the last 1.5 year or so, I am just reading your blog…This time I want to thank you for such information made us available in a beautiful article and easy to understand language…..that too all free “after all I am proud Indian, how can I forget jugaad and free”…It will change the world one day….Sir please continue your good work, God bless you. Dhirendra we are counting on people like you and your family to vote for Modi back into power for 15 years minimum. We need this man to continue the growth of our country and defend our army. Pappu, and all the other jokers want to harm and insult the army and destroy India’s growth. We must do our part with the power of our vote and make sure India is a nation that will be the best in the world. No avenue for small investors to invest in Sanmar as it is unlisted. Adi Finechem appears to be expensive, not just by its 48 P/E (as per one of the leading informative websites on stock markets), but because for last 3 successive years, its top line was stagnant (no growth) and bottom line worsened – NP and NPM dropped! May be Prem Vatsa has a magic wand with which he will change the scenario. The chemical industry is booming in India, once again thanks to the stringent rules on pollution in the US, Europe, Japan and now even in China. As long as vested interest politicians rule, chemical industry in India will not have a villain. Finally to say that there is no top level corruption in the current govt thanks to Namo is actually a joke. Else, how can you justify such expensive deals like Rafael jets – a company whose production is trusted apparently only by 3 countries – France (home country) predominantly, and a friendly but equally corrupt Egypt. Likewise there are corrupt events like the Gujarat Petro type that are being hushed by an exceedingly biased (and perhaps well paid) media. Not to forget efforts (of Namo) to secure full supply of grains from some countries like Mozambique through the trusted crony capitalists like Adani, with the grain retail prices rising manifold in the last 2 years. Can we say the corruption has ended at top level? Perhaps the definition may have been changed!